Koltov locksmiths are experts at commercial locks and security. 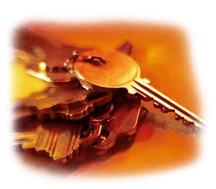 Whether you are locked out, need a new key or need to replace your locks, our locksmiths can do it right away. Our locksmiths carry a large variety of high quality locks for your office or store. We at Koltov have trained locksmiths with experience repairing and installing high quality commercial locks such as panic bars, buzzers, keyless entries and a variety of accessories such as door closers and alarm systems.